Real estate sales activity remained elevated in Kitsap last month, as did home prices. Pending sales in the county were up 16 percent in November compared with November of 2015, while closed sales were up 30 percent, according to Northwest Multiple Listing Service. 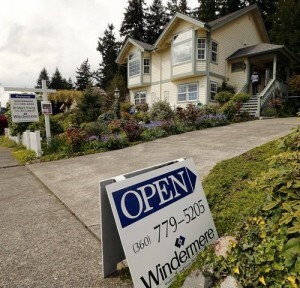 A sales surge was reported across the Puget Sound region. 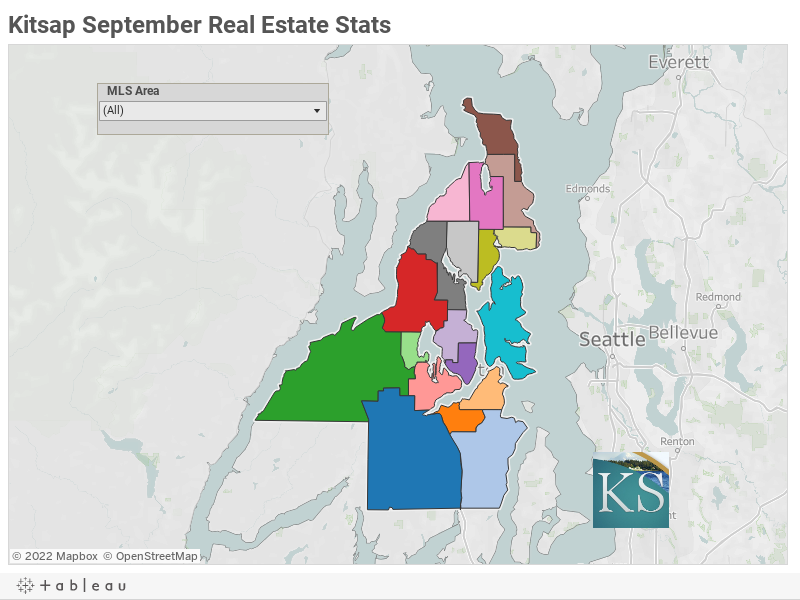 “November’s pending sales for the four-county area of King, Snohomish, Pierce and Kitsap were the highest since 2005,” John L. Scott CEO J. Lennox Scott noted in a NWMLS news release. Those eager buyers competed over a dwindling supply of home listings. 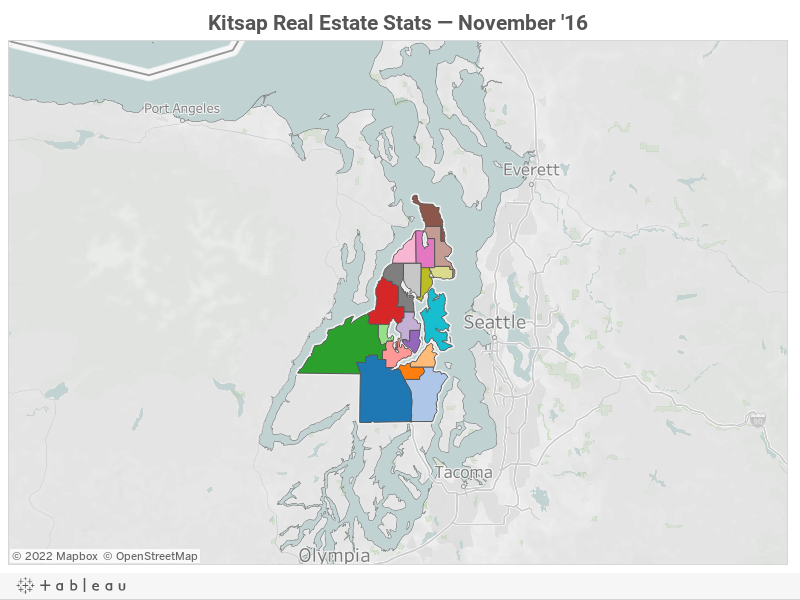 In Kitsap, 330 new listings came on the market in November, bringing the number of homes for sale in the county to 758. Inventory was down only 1.3 percent from November of 2015, but still very low compared with previous years. Homes sold in Kitsap in November fetched a median price of $280,000, up about 8 percent or $21,000 from the same time last year. And here’s a map showing real estate stats by submarket. Hover your mouse over each area for details. After scraping bottom last winter, the supply of homes available for sale in Kitsap increased gradually since March. Notably, the number of home listings active in September nearly matched the number reported in September of 2015 (see chart below). There were 593 listings added last month, a 21 percent increase from the previous year, according to a report from Northwest Multiple Listing Service. Based on the stats, Kitsap remains squarely a seller’s market. Real estate professionals consider a market balanced when it has a four- to six-month supply of homes, meaning it would take four to six months to sell off all the houses available if no new listings were added. Kitsap had just a 2.15-month supply of homes in September. In other words, the market would need about 1,000 more active listings or a slowdown in sales to achieve some balance. But even an incremental increase in supply could be good news, as sales activity didn’t cool off all that much in September. Pending sales were down in the county from August to September — as is typical for the season — but were up 13 percent from September of 2015. The 448 deals closed in September marked a 15 percent increase from 2015. Home prices remained elevated. The median price for houses and condominiums sold in September was $284,999, a 10 percent jump from last year. 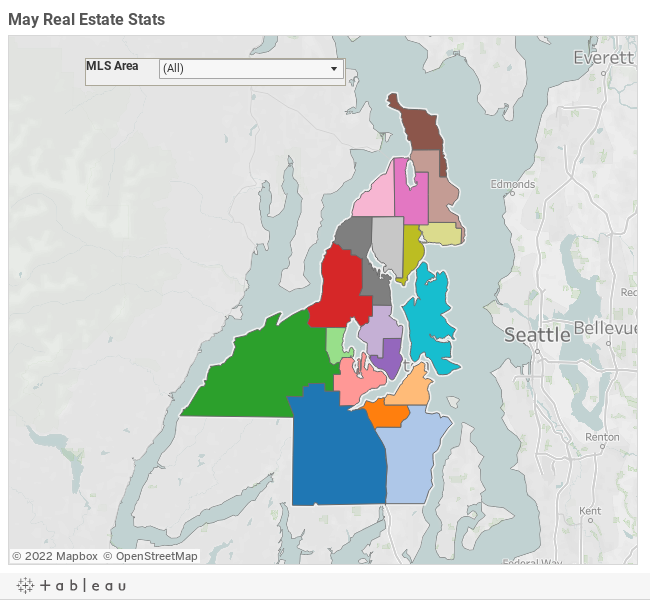 Here’s a graphical look at Kitsap real estate trends. The median price for homes sold in Kitsap County reached $285,000 last month, as sales activity ramped up and inventory remained low. 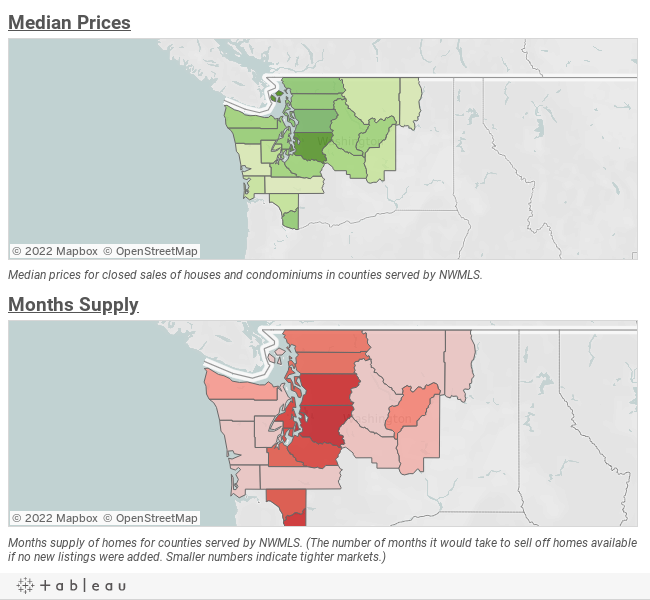 The median price for May was 7.6 percent higher than in May of 2015, according to report from Northwest Multiple Listing Service. The year-to-date (January-May) median home price for the county was $266,914, up about 11.5 percent from the same period of last year. Prices have increased most dramatically in West Bremerton, where homes are selling for 40 percent more so far this year than in 2015. Despite the price jump, West Bremerton remains the county’s least expensive submarket. Home sales also ticked up in May. Pending sales were up 9.4 percent from May 2015, while closed sales jumped 12.5 percent. The number of homes available for sale inched up to 734, with 608 listings added. Inventory remained 23 percent lower than a year ago. The months supply of homes — the number of months it would take to sell off all homes on the market if no new listings were added — rested at 1.85. A market is considered balanced when it has a four- to six-month supply. Wilson doesn’t see the inventory crunch easing “for some time to come.” Even if the Fed raises interest rates, he believes shortages will persist because of the backlog of buyers. 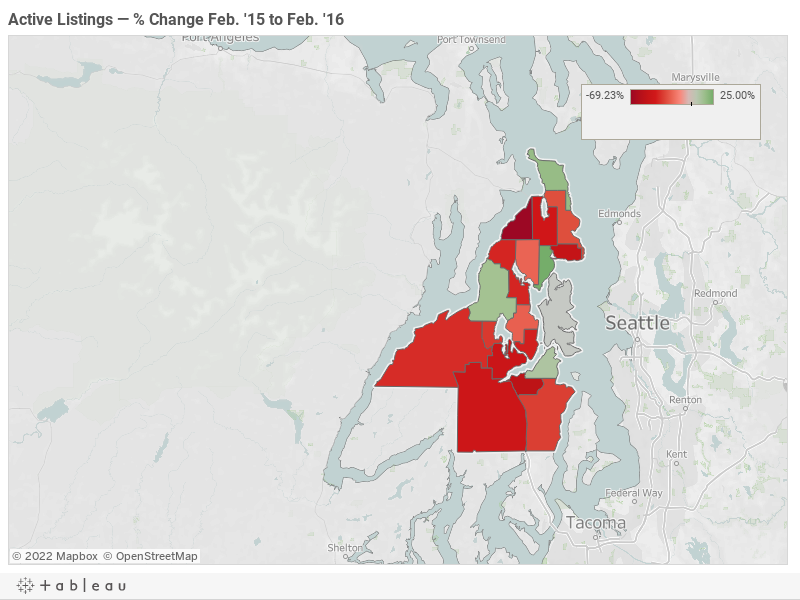 This map shows the percent change in active home listings from February 2015 to February 2016 for each Kitsap submarket. You can hover your mouse over the map to see how active listings fluctuated during the past four years. Kitsap homebuyers were still picking through a thin selection of houses February, but the lack of inventory didn’t dampen sales. Sales activity in February was still stronger than a year ago. NWMLS reported 483 pending sales (up 9 percent) and 263 closed sales (up 13 percent) for the month. The Kitsap real estate market ended 2015 on a high note. At least for sellers. The median price for houses and condominiums in the county was $266,500 in December, a 13.4 percent increase from December 2014, according to numbers released this week by Northwest Multiple Listing Service. Kitsap’s overall median home price for 2015 was $258,500, besting 2014 by 8 percent. Home sales in December were in line with previous years. The county’s already depleted home inventory continued to shrink, with 629 active listings at the end of the year. We’ll have a more in-depth look at the 2015 real estate market a little later this month, when NWMLS releases its annual report. The number of homes for sale in Kitsap County continued to drop in November, as sales activity remained relatively healthy. According to Northwest Multiple Listing Service, there were 768 homes available in the county last month. That was 29 percent fewer than in November 2014, and 43 percent fewer than in November 2013. Meanwhile, 367 sales were pending in November, a 7.3 percent improvement from November 2014. The 299 closed sales recorded in November were on par with 2014. The median price for homes sold in November, including condominiums, rested at $259,000. Kitsap County home sales remained strong in October, despite a dwindling supply of available houses. A total of 473 sales were pending last month, according to Northwest Multiple Listing service. That was a 10 percent jump from October 2014, and 27 percent increase from October 2013. Closed sales were also strong, with 422 transactions completed in October. The October median price for houses and condominiums in Kitsap was $258,500, nearly unchanged from September. After climbing steadily all year, Kitsap home prices finally dipped in August. The median price for a home in the county (including condos) was $259,950 last month, down from $275,000 in July, but still 7 percent higher than a year ago, according to Northwest Multiple Listing Service. While prices slipped, sales activity remained strong. A total of 557 home sales were pending in August, 19 percent more than in August of 2014. Pending sales easily outpaced new listings in the county, keeping inventory low. The 1,033 active listings in August were 34 percent fewer than in August 2014. Kitsap home sales remained strong in June, while the county’s median home price leveled off at $265,000. Pending sales were up 18 percent compared with June 2014, according to numbers released Monday by Northwest Multiple Listing Service. The $265,000 median price for closed sales was 6 percent higher than a year ago. Year-to-date, homes are selling for about 8 percent more this year than in 2014. Inventory remained very low in June with 956 homes on the market, 35 percent fewer than in June 2014. The months supply of homes (the time it would take to sell off all available homes if no new listings were added) dropped to 2.23 months. A six-months supply is considered a balanced market. Homes in Kitsap County sold for more last month than at any time in the past three years. The median price for houses and condominiums sold in May was $265,000, a 15 percent gain from May 2014, according to numbers released Thursday by Northwest Multiple Listing Service. The May median price actually topped last year’s peak of $255,050, recorded in July. 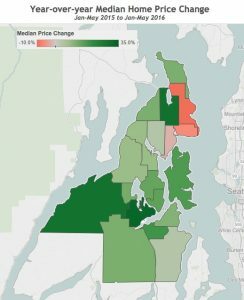 The median price for a home on Bainbridge Island was $618,500 in May. 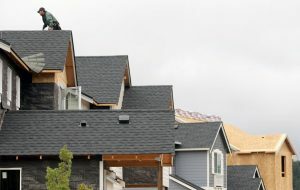 West Bremerton remained the county’s most affordable enclave, with a median price of $142,500. While prices kept climbing, pending sales (554) and closed sales (353) essentially leveled off between April and May. The inventory of available homes remained low (about 28 percent lower than a year ago) but showed signs of improvement. The number of active listings climbed from 840 in April to 950 in May, marking the first noteworthy gain since August of last year. 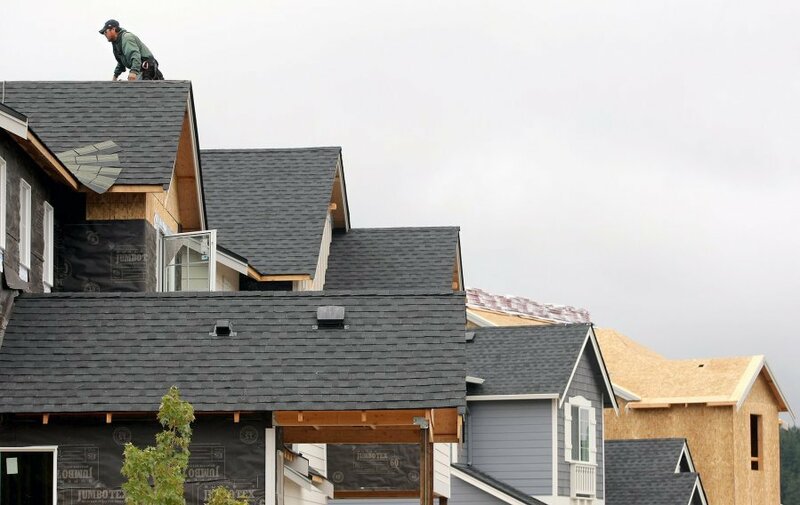 The months supply of homes — the number of months it would take to sell off all available homes if no new properties were listed — jumped to 2.69. For comparison, King County’s reported a 1.2 months supply of homes.